We have 3 dogs. They are each as much a part of our family as anyone else. In the 5 years before we had our second child, anytime Genghis would ask if he would ever get a brother or sister we would remind him that he already had 3 hairy sisters. With 4 legs each. I remember one year before we had any children, I actually took our girls to see Santa at the local pet store. They were, and still are my babies. I used to paint their nails before we had human babies that required a lot of my time. For each of their birthday’s they get a little special treat. And they all gets gifts for Christmas. 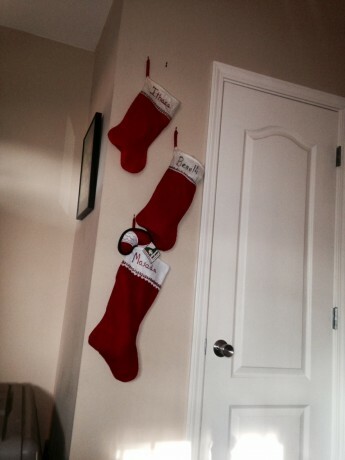 They each have their own stockings that are stuffed full of special treats, toys, and all kinds of goodies. 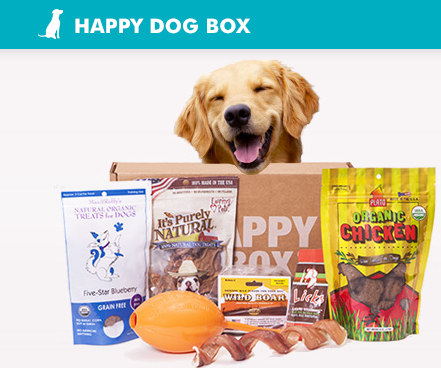 So when Happy Dog Box contacted me and asked me if I would be interested in featuring them on the blog, I was excited. 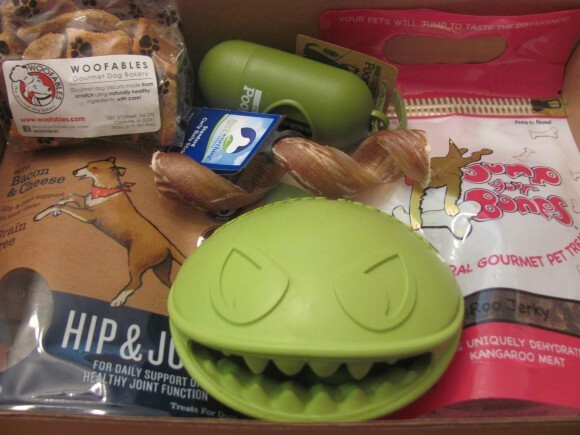 Happy Dog Box is a monthly subscription service that is tailored to your dog. Have a small dog? No problem, your box will always contain size appropriate toys. Every month you will receive a box of five or more premium products carefully selected from leading manufacturers and up-and-coming boutique brands around the country – anything from healthy treats, bones, and tough toys to hygiene products and new innovative gadgets! 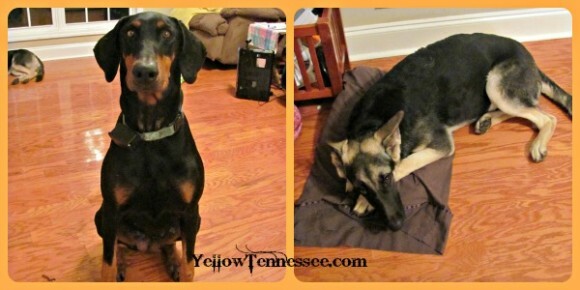 We have 2 big dogs, and one small. The small one is old and other than trying to always score food that someone dropped, she has zero interest in toys. So I went with boxes for the bigger, spry girls. The first box you get is always a welcome kit of sorts. It was filled with lots of treats, a couple of toys and some doggie bags to clean up after them. Our second box was more Christmas themed which I loved. They got a candy cane plush toy, all kinds of great treats and shampoo and spray that smells like peppermint. All 3 of the dogs got baths that very day. They smell like candy canes now. My Christmas girls! While they haven’t got any of the treats or toys just yet, I can say that I know they will love them. They are dogs after all. And I love that they will be getting special treats made just for them. We have never been one who feeds our dogs table scraps or any people food. But I love the idea of spoiling them with organic and all natural treats. And in the process I have already seen some brands that I hadn’t tried yet and I am looking forward to finding new special treats for our girls.